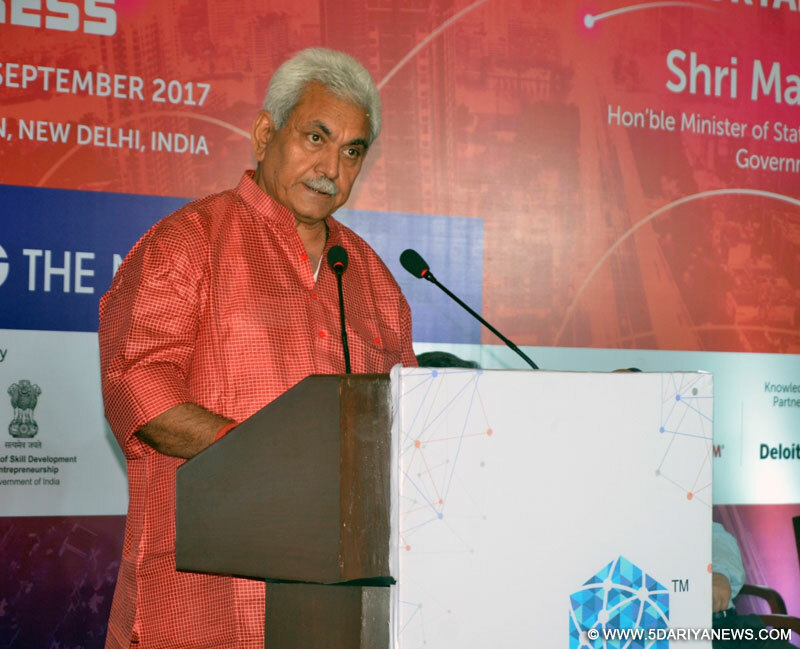 Having felt the need for a long time to organise an event of a global scale showcasing its giant strides in telecom and technology industry, India is now setting the stage for the Indian Mobile Congress (IMC) in September, Communications Minister Manoj Sinha said here on Tuesday. "The IMC will be held in September this year for the first time. Then on, it will be an annual event. The need was felt for long to arrange such a big event of global scale to showcase how telecom and technology industry are growing in India," Sinha told reporters at a select media briefing.The minister was hopeful that the event will also help to attract investment in the country and facilitate the government's flagship programmes like Digital India, Make in India and others through knowledge-sharing.Earlier in April, IANS had first reported about the event and its details.The event -- to be held from September 27 to 29 -- will be organised by telecom industry body Cellular Operators' Association of India (COAI) with support from the Department of Telecommunications and Ministry of Electronics and Information Technology. The Ministry of Skill Development will also be part of the endeavour.It will be organised in the Pragati Maidan here with a budget of around Rs 15 crore.Following the yearly global attention drawn by the Mobile World Congress in Barcelona, the telecom industry players in India wanted to organise an event here where players from India, South Asia and Middle Eastern countries could get more attention. "We felt we needed a flagship event in India. In the West, we have the Barcelona event (MWC), in the East there is the Shanghai Mobile World Congress -- but there was nothing of that scale for South-East Asia. This event will serve that purpose," said Rajan S. Mathews, Director General, COAI.Among the international participants, the organisers have already got the nod from countries like the US, UK, Sweden, Finland, Germany, Korea, the Philippines, Bhutan, Japan and Israel.P. Ramakrishna has been appointed as the CEO of the event.The three-day event will witness exhibitions, conclaves and an awards session. The event is for business-to-consumer and business-to-government activities and on the third day it will be open for public, by invitation.The organisers expect presence of around 5,000 paid participants in the event and there will be 800 exhibitors.